On the Hour of Code…. I have to confess to being a bit of a ‘coding’ sceptic – after all it seems everyone has jumped on the bandwagon and schools are being sold new ways to bring coding into the curriculum almost daily! Whilst the government attempt a number of PR ‘ideas’ – such as the ‘Year of Code’ – schools are looking for ways to make it work for them. It was then with a dose of healthy ‘why not?’ that I decided to do the Hour of Code at my schools last year. The teachers were keen, although we had some attempts at coding in Key Stage 2, not everyone had had a go. I had some great Pupil Digital Leaders – and the resources were easy enough to access. Thoughts on that? Well, it worked really well! It was a brilliant showcase into what could be done and illustrated beautifully to the teachers how easy it could be. Everyone had a go, many pupils recieved a certificate and they all managed to spend some time with ‘code’ controlling and creating! It made me think that maybe these ‘PR’ events could be useful! So here we are again, this year it looks like it could be even bigger.There is definitely the backing – this year we have the Kodable Hour of Code and the Tynker Hour of Code. 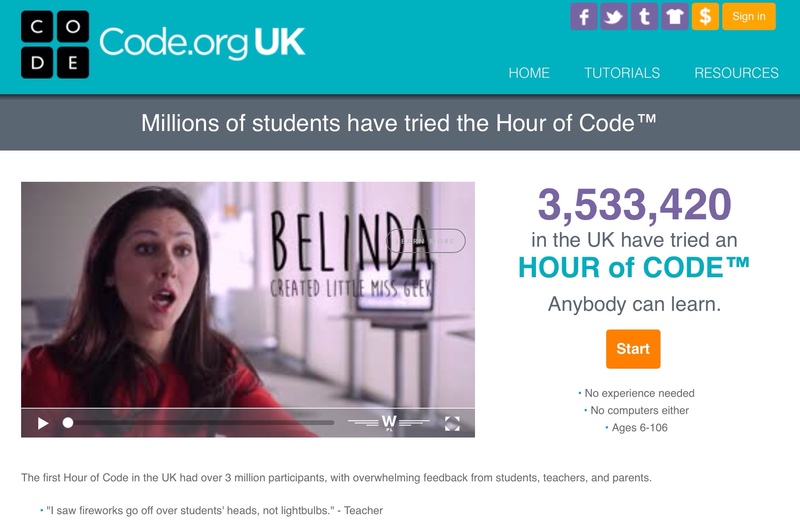 This is on top of the amazing resources to be found at the UK Hour of Code site. My advice – go for it! This year I’m in a new school, new role and I’m going to use the Hour of Code as a way in with parents. I’m going to let the (new) Pupil Digital Leaders lead the session with parents and guide them through whichever activity they see fit! Posted by RS on November 30, 2014 in Curriculum, Supporting Parents.